VANCOUVER, July 16, 2018 /CNW/ - Wheaton Precious Metals™ Corp. ("Wheaton" or the "Company") is pleased to announce that its wholly-owned subsidiary, Wheaton Precious Metals International Ltd ("Wheaton International") has agreed to acquire from Sibanye Gold Limited ("Sibanye-Stillwater") (JSE: SGL; NYSE:SBGL) an amount of gold and palladium equal to a fixed percentage of production from the Stillwater and East Boulder mines, collectively "Stillwater" (the "Precious Metals Stream"). Wheaton International will pay Sibanye-Stillwater upfront cash consideration of US$500 million upon closing of the Precious Metals Stream. In addition, Wheaton will make ongoing payments equal to 18% of the spot gold price and spot palladium price until the reduction of the advanced payment to nil, and 22% of the spot gold price and spot palladium price thereafter. 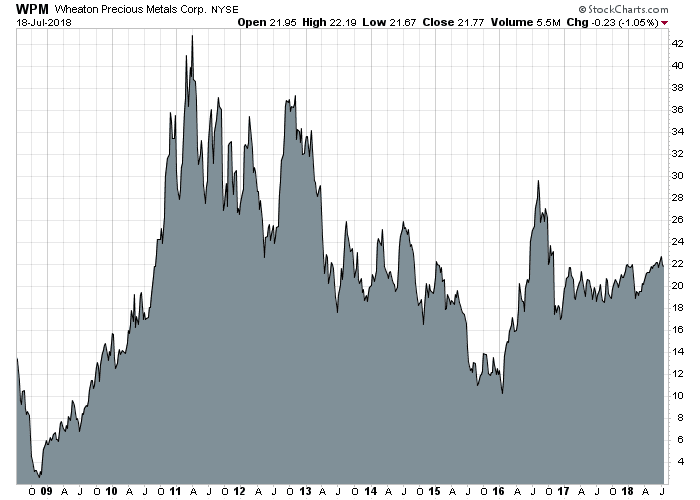 The Precious Metals Stream is effective July 1, 2018..